Seven Practices of a Mindful Leader evolved out of Marc Lesser’s work helping to create Search Inside Yourself, a mindfulness-based emotional intelligence program at Google. 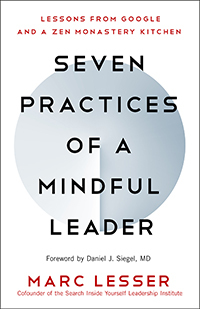 In this transformative book, he distills a lifetime of contemplative practice and business experience into seven simple, powerful practices for optimizing mindful leadership at work, as well as living a full and meaningful life. Do you work too much and always end up wanting more time and energy for your family, friends, and personal passions? Whether you work for a company or own your own business, the time management tactics that Helene Segura offers in her book The Inefficiency Assassin are designed to help you operate more efficiently during your workday so that you can have a fulfilling life outside of it. Listen to this inspiring conversation with host Kim Corbin about how to work smarter, not longer. 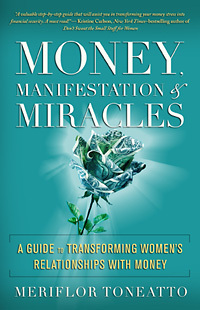 Author and teacher Linda Kohanov is a master of the way of the horse, an experiential wisdom gained by studying the nonpredatory power of horses. InThe Five Roles of a Master Herder: A Revolutionary Model for Socially Intelligent Leadership (now available in paperback), she adapts these horse-inspired insights into useful tools for developing collaborative leadership and managing change. Master Herders of nomadic herding cultures developed a multifaceted, socially intelligent form of leadership combining the five roles of Dominant, Leader, Sentinel, Nurturer/Companion, and Predator. The fluid interplay of these roles allowed interspecies communities to move across vast landscapes, dealing with predators and changing climates, protecting and nurturing the herd while keeping massive, gregarious, often-aggressive animals together — without the benefit of fences and with very little reliance on restraints. 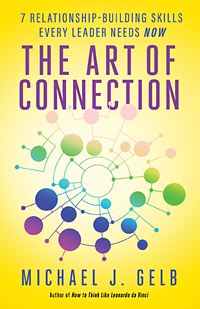 When people connect — when they are on the same wavelength, attuned, in rapport — they are much better at generating, and implementing, new ideas. We hope you’ll enjoy this excerpt in which Gelb shares how to improve this essential relationship-building skill. 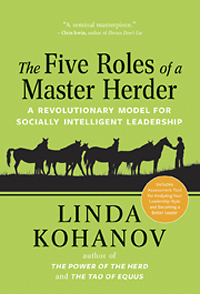 In this interview, equine author and teacher Linda Kohanov discusses her new book, The Five Roles of a Master Herder, which presents a revolutionary model for socially intelligent leadership. Kohanov outlines five distinct leadership roles and explains how nomadic pastoral cultures embodied and balanced the five roles to move huge groups of animals, without restraints, through various predators, drastic climates, and other challenges. Chances are, you've been in a group led by someone in the Dominant role. Find out why that role does not actually make a good leader in the long run. Learn why the Nurturer/Companion role is more important than you think, and how you can embrace the value of the Predator role.